MLS# 19-820 - 420 Dogwood Dr, Buellton, CA 93427 - Andrew "Andy" Adler — Century 21 Butler Realty, Inc.
You'll love the open floor plan, high ceilings and many windows in this spacious Sycamore Ranch home. The downstairs area features a formal living/dining room with fireplace, an expansive open concept kitchen with walk-in pantry and breakfast area; opening to a family room with fireplace. There is also an office which could be used as a fourth bedroom, and a full bathroom.The upstairs living area features a large loft that can be used as a media room, play area for the kids or teen study to name a few. There is access to a sunset-facing balcony from the loft too. The spacious master bedroom offers a large private balcony, en suite bathroom with separate tub and shower and a walk-in closet. There are also two additional bedrooms and a full bathroom. The upstairs laundry room has a window for good ventilation, space for cabinets or storage, and a deep utility sink. 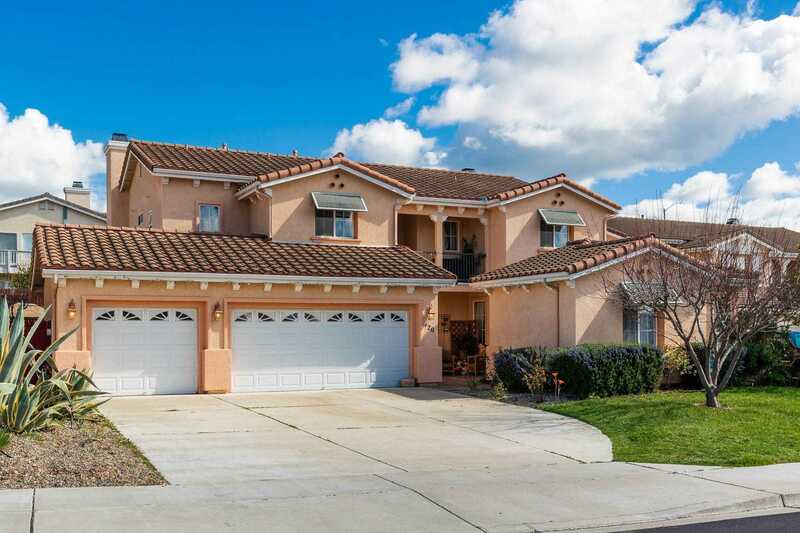 Please, send me more information on this property: MLS# 19-820 – $785,000 – 420 Dogwood Dr, Buellton, CA 93427.